A) Fatal injuries at work have increased. In 2017/18, 144 workers were killed at work. The average annual number of workers killed at work over the past five years (2013/14-2017/18) is 141. Though only a small increase, with the current health and safety culture we’d have expected a drop in this figure. What can we do to help? A number of methods could be employed to reduce this figure. Treat the issue of bad H&S. Obviously the main point here. Educate staff using training. Whether it’s generic H&S training or specific training for tasks that carry risk, companies have a responsibility to ensure staff are suitably prepared and trained to carry out their work. Be prepared to treat an injury. Nobody wants to think about the worst, but it’s important to be ready to act if somebody does suffer a serious and potentially life-threatening injury. Training and equipment are needed to carry out emergency life support, which could potentially keep somebody alive until help arrives. B) Increase in absence due to mental health. The rate of self-reported work-related stress, anxiety or depression show signs of increasing in recent years having previously remained broadly flat. Why is this? We think it’s fair to say that with a recent focus on this topic in society and therefore, the workplace, it’s becoming less of a taboo subject to talk about mental health. It’s quite possible that simply more people are reporting this instead of suffering in silence or making up an excuse to cover the real issue of their absence. Similarly, more people may be able to recognise the symptoms of related mental health conditions now and are more aware of their mental state. Lots of employers are beginning to provide training that helps managers spot mental health issues within their team, and making more support available for those suffering from conditions like stress and anxiety. How can we help? C) Over 71,000 RIDDOR-reportable non-fatal injuries. All of which will presumably have involved a first aider on site. This highlights the scale of the task workplace first aiders have to deal with. 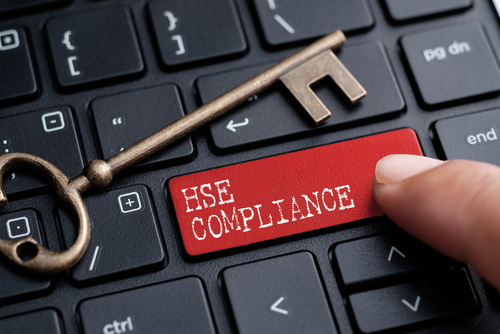 So it’s important that alongside receiving the necessary qualifications such as ‘First Aid at Work’, the HSE’s guidance is followed and yearly refreshers take place to keep knowledge and practical skills up to date. First aiders and first aid kit should be readily available. We believe this should include defibrillators and associated training to use the equipment. D) Asbestos-related deaths have levelled out and are due to decline. Annual mesothelioma deaths increased substantially over the last few decades due to past asbestos exposures, but have remained broadly level over the last 5 years; projections suggest a reduction beyond the year 2020. Why is this? Now, the rules and regulations around asbestos have bought control to the use and handling of this material, dangerous when handled or not disposed of correctly. Training for anybody involved in the removal and disposal of asbestos is required, and instilling this knowledge in those who handle it is helping to reduce exposure and risk of illness. How can we help? We’ll leave you with this. Workplace injuries cost companies £5.2 billion. Training is not a cost, it’s an investment in your business, your employees’ safety and in reducing future costs due to workplace injuries. Please get in touch and help us help you, to reduce these statistics.